Per his military service record (regimental no. 4928), James Simpson was born at Hollytown, Scotland. He gave his age as 30 years, his marital status as single, and his occupation as iron and steel smelting. His description on his Certificate of Medical Examination was height 5 feet 6 ¾ inches tall, with a dark complexion, hazel eyes, and black hair. His religious denomination was Presbyterian. He claimed that he had no previous military service. He completed his medical examination, and was attested by Lieutenant F. Middenway, at Springwood on 8th November 1915 (the day the Coo-ees arrived at Springwood). On 4th February 1916 Private Simpson was charged with being absent without leave for 1 day from the Liverpool Camp. He was fined 5 shillings. On 22nd February 1916 he was charged with being absent without leave for 4 days. He was fined 2 pounds. On his embarkation roll his address at time of enrolment was not listed. His next of kin is listed as his sister, Miss L. Simpson, Midcot, Mossend, Lanarkshire, Scotland. 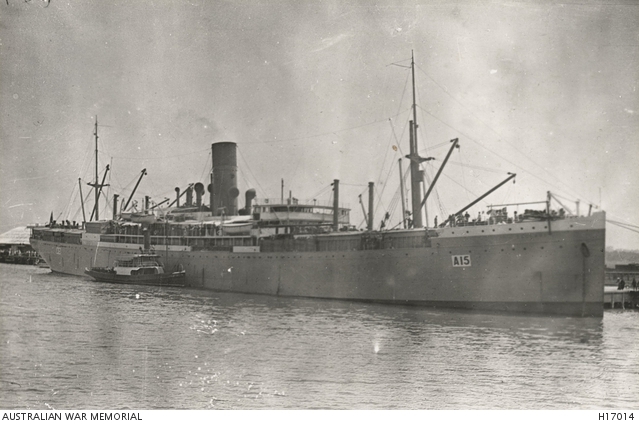 On 8th March 1916 Private Simpson, along with many of the other Coo-ees, departed Sydney on the HMAT A15 Star of England with the 15th reinforcements for the 13th Battalion, and arrived in Egypt on the 11th April 1916. 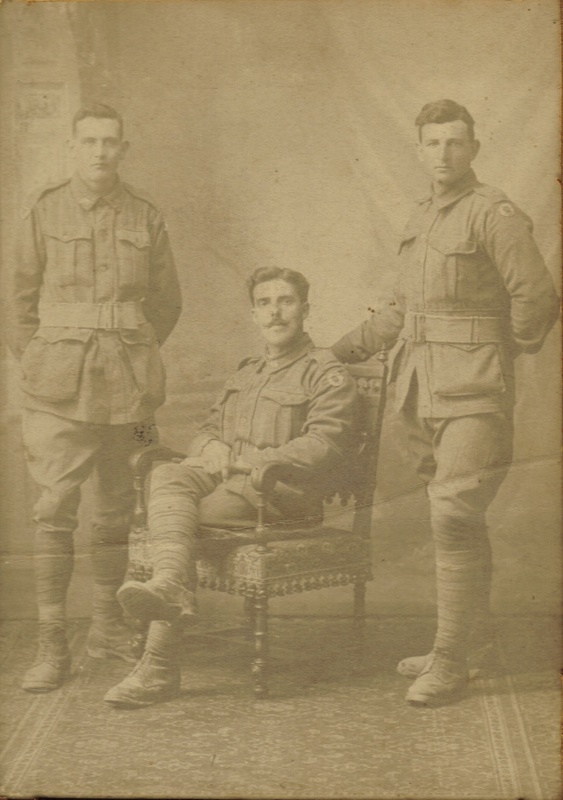 On 15th May 1916 Private Simpson was sent to the 12th Australian Field Ambulance sick. He was discharged on 19th May 1916. On 4th June 1916 Private Simpson left Alexandria aboard the Transport Scotian bound for France. He arrived at Marseilles on 11th June 1916. After serving with the 4th Pioneer Battalion in France for 6 months, on 14th December 1916 Private Simpson was sent to the 13th Australian Field Ambulance sick with Diarrhoea. He was sent to the ANZAC Rest Station later that day. He was discharged and rejoined his unit on 31st December 1916. 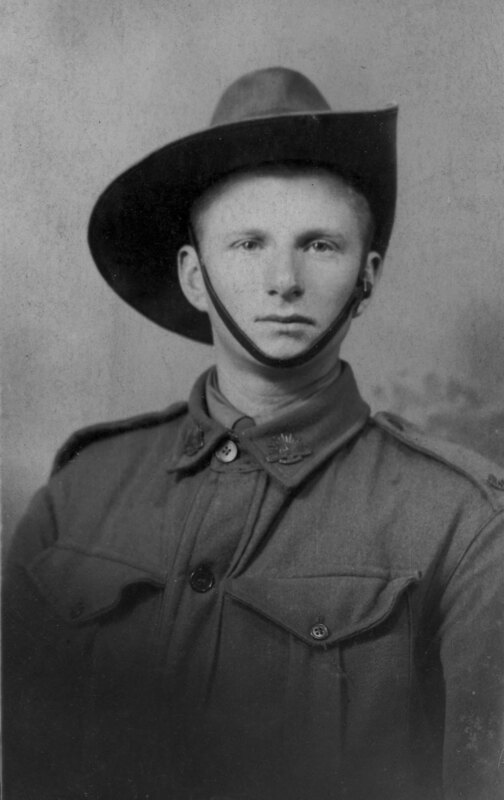 On 21st July 1917 Private Simpson was sent to the 13th Australian Field Ambulance sick. He was moved back to the 2nd Casualty Clearing Station. On 23rd July 1917 he was placed aboard the 12th Ambulance Train and on 26th July 1917 he was admitted to the 39th General Hospital at Le Harve, France. He was discharged from hospital and marched into the 4th Australian Base Depot at Le Harve on 6th September 1917. On 10th September 1917 Private Simpson was readmitted sick to the 39th General Hospital. He was discharged to the 1st Australian Clearning Station on 26th September 1917. He rejoined the 4th Pioneer Battalion on 17th January 1918. On 5th March 1918 Private Simpson was charged with being absent without leave from 0900 on 26th February 1918 till 1530 on 5th March 1918. He was fined 18 days pay. On 14th October 1918 Private Simpson was granted leave to England. He rejoined the 4th Pioneer Battalion on 30th October 1918. On 27th January 1919 Private Simpson marched into the Australian Base Depot at Le Harve to commence his return to England. 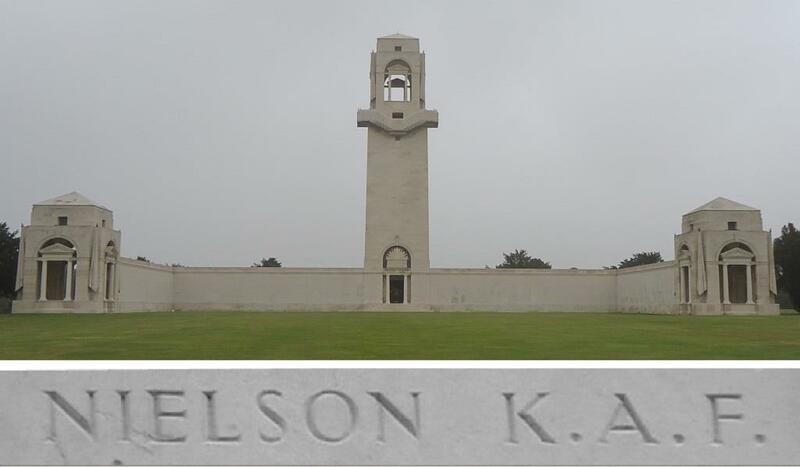 On 10th February 1919 Private Simpson departed the 4th Australian Division Base Depot at Le Harve for England. He arrived at Weymouth, England, on 11th February 1919. On 1st July 1919 Private Simpson left England on the H.T. Frankfurt bound for Australia. He arrived in Australia on 21st August 1919. Australian War Memorial. First World War Embarkation Rolls, James Simpson, 4928. Per his military service record (Depot), Charles Thomas King was born at Tuena, N.S.W. He gave his age as 35 years and 7 months, his marital status as married, and his occupation as labourer, on his Australian Imperial Force Attestation Paper of Persons Enlisted for Service Abroad form. He claimed that he had no previous military service. He also stated that he had been previously rejected as unfit for service for varicocele. His next of kin was recorded as wife, Mary Isabel King, with address Bent Street, Katoomba. Charles Thomas King joined the Coo-ee March at Springwood. He undertook a Preliminary Medical Examination at Springwood on 8th November 1915. His height was recorded as 5 feet 9 inches on his ‘Preliminary Medical Examination’ section on his initial Application to Enlist in the Australian Imperial Force form. He was attested at Springwood by Lieutenant F. Middenway on 8th November 1915, the day the Coo-ees marched from Lawson to Springwood. His Description, and Certificate of Medical Examination sections, were not completed on his Attestation Paper. On 17th November 1915 Private King went before a Medical Board at Liverpool Camp, where he was found to be unfit for active service due to varicocele. Private King was discharged medically unfit on the 29th of November 1915. Per his military service record (regimental no. 4793), Thomas William Haskett was born at Manuhull, Dorsetshire, [England]. He gave his age as 43 years and 5 months, his marital status as married, and his occupation as labourer. His description on his Certificate of Medical Examination form was height 5 feet 8 inches tall, weight 140 lbs., with a fair complexion, blue eyes, and brown hair. His religious denomination was Church of England. He claimed that he had 1 years previous military service in the 3rd Battalion of the Dorset Regiment. He was attested by Lieutenant F. Middenway at Springwood, but there is an anomaly with the date of his attestation on his Attestation Paper of Persons Listed for Service Abroad. The date on the Certificate of Attesting Officer section of his Attestation Paper was originally recorded as 9th November 1915 (the day the Coo-ees marched from Springwood to Penrith), but this date has been changed on the form to 5th November 1915 (the day the Coo-ees marched from Mount Victoria to Katoomba). The Oath to be taken by person being enlisted section is dated from 5th November 1915. His “Joined on” date on his Attestation Paper was recorded as 5th November 1915, so it appears he may possibly have joined the Coo-ee March somewhere in the Blue Mountains before they arrived at Springwood. He lived at Wentworth Falls, and was employed by Blue Mountains Shire Council on one of the shire gangs at the time he joined the Coo-ee March. He completed his medical examination at Ashfield on 11th November 1915. On his embarkation roll his address at time of enrolment was Bathurst Road, Wentworth Falls, N.S.W., and his next of kin is listed as his wife, Mrs A. [Annie] Haskett, at the same address. On 8th March 1916 Private Haskett, along with many of the other Coo-ees, departed Sydney on the HMAT A15 Star of England. He arrived in Egypt on 11th April 1916. On 2nd June 1916 Private Haskett left Alexandria aboard the transport Kinfauns Castle bound for France. He arrived at Marseilles on 8th June 1916. 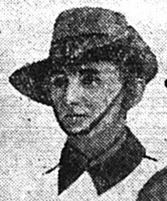 Private Haskett served with the 45th Battalion in France until 31st August 1916, when he was sent to the 3rd Casualty Clearing Station suffering from ‘Oedema of penus’. He was placed aboard the 28th Ambulance Train and admitted to the 3rd Canadian Stationary Hospital at Boulogne, France, later that day. He was later placed aboard the Hospital Ship St Dennis in Boulogne Harbour for evacuation to England. After arrival in England, on 31st January 1917 he was admitted to the 3rd Australian Auxiliary Hospital at Dartford, England, with odema nephritis. On 23rd March 1917 Private Haskett was discharged from hospital, and granted leave to report back on 7th April 1917. He then marched into the No. 2 Command Depot at Weymouth, England, on 9th April 1917. On 4th May 1917 Private Haskett departed Devonport, England, bound for Australia aboard the H.T. Miltiades for medical discharge (chronic nephritis). He arrived in Australia on 5th July 1917. 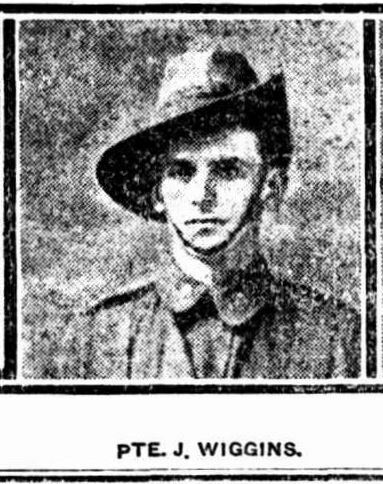 The Lithgow Mercury reported that a concert and dance was held at Wentworth Falls to welcome home Private T. W. Haskett (and send off several other soldiers) in August 1917. Private Haskett was discharged Medically Unfit on 4th October 1917.